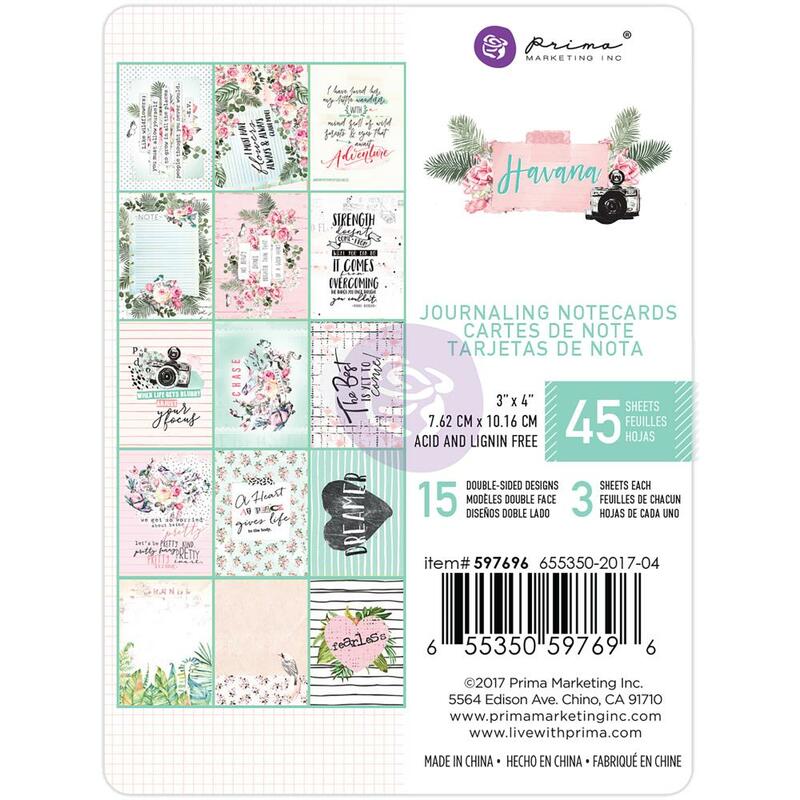 Shop | Prima Marketing Collection | Prima Havana Collection | Prima Havana Journaling Cards Pad 3"X4"
The perfect pad for cards, scrapbooks and other paper crafting projects! This package contains 45 3x4 inch double-sided journaling cards in 15 different designs (three of each design). Acid and lignin free.